Sherpa Tip:The following models are compatible with Ascend. Other models may work, but are not supported by the Ascend support team. 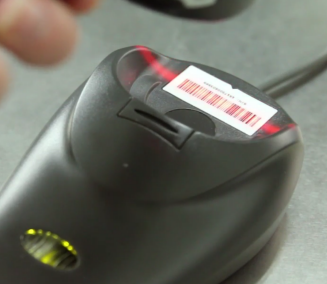 When your barcode scannner isn't working, there's a few things you should do to gt it operational again. If the scanner is not not scanning at the register - giving bad beeps or not beeping at all - the scan window might be dirty. To clean it, grab a washcloth. Make sure the washcloth is is a clean and soft material; you don't want to wipe your scanner with a rough or abrasive material. Dampen the washcloth with a gentle dish soap and water. Then wipe down the scan window. 1. Go to AscendRMS.com and log in. 2. From the Retailer Portal, go to Downloads. 3. 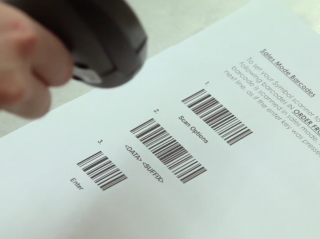 Click the Sale Barcode Calibration sheet under Scanners. 4. Print the downloaded sheet. 5. Scan the sheet, starting at one. If you have a cordless scanner, and that didn't do the trick, you may need to re-activate the scanner for sales. 1. Go to the same location on the AscendRMS.com website (Retailer Portal > Downloads). 2. Click the Activation Barcodes sheet under Scanners. 3. Print the downloaded sheet. 4. Scan the sheet, starting at one. If you're looking to save some paper, some of the newer models of scanners have the ability to scan directly from your monitor. If the scanner won't turn on or a cordless scanner doesn't appear to be charging, the first thing you should do is check the hardware. The cradle should have a steady green light. The cordless scanner should beep when set in the cradle and have a blinking green light when it's charging. 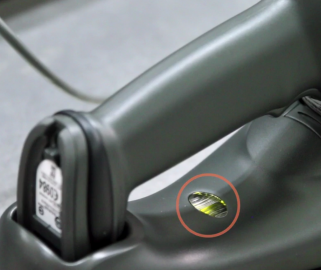 If you don't see those signs of a connection, make sure the cradle is correctly hooked to the power and the cordless scanner is fully cradled. If the cradle is plugged in but still isn't connected, try plugging it into a different USB port on the computer. 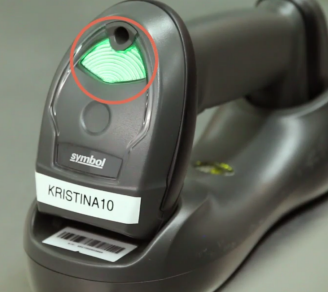 If your cordless scanner stops working while scanning items in a different area of your shop, you may be too far away from the cradle, or the signal might be blocked by steel, concrete, or Bluetooth devices. Bring the scanner back towards the cradle. If it still doesn't work when you're by the cradle, scan the barcode where the scanner face rests on the cradle to reconnect them.